Simple idioms you can use to make your Python code run faster and use less memory. Python applications sometimes need all the performance they can get. Think of e.g. web, REST or RPC servers. There are several ways to address this: scale up by using more processes, use Cython, use PyPy, rewrite parts in C, etc. However, there are also quite a few things that can be done directly in Python. This talk goes through a number of examples and show cases how sticking to a few idioms can easily enhance the performance of your existing applications without having to revert to more complex optimization strategies. If you are interested in learning more about these idioms, eGenix offers Python project coaching and consulting services to give your project teams advice on how to achieve best performance and efficiency with Python. 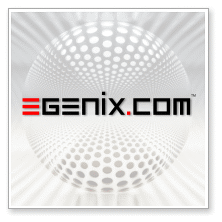 Please contact our eGenix Sales Team for information. Main Talk "When performance matters ..."
Lightning Talk "Pythons and Flies"
This talk was given at PyCon UK 2014 in Coventry, UK, by Marc-André Lemburg, CEO of eGenix.com. Mr. Lemburg is available as Python coach and consultant, if you would like to get on-site help with your projects.